Moving his motion at the plenary, Danburam noted that Fidaus who graduated from University of Ilorin, Kwara State had attended Nigerian Law School and qualified to be called to the bar. He also argued that the constitution of Nigerian guaranteed certain freedoms under the fundamental human rights, wondering why the graduate was not called to bar last week. He said: “The House notes that Ms. Amasa Fidaus was a law graduate from the University of Illorin and admitted into the Nigeria law school as a pre-requisite before a call to bar; “Also notes that after the completion of the required program at the Nigeria law school, she was due to be called to bar on Tuesday, 12th December, 2017; “Still notes that Firdaus was denied a call to bar by the Nigerian Law School refusing to take off her headscarf; “Observes that the President of the Nigeria Bar Association and the Sultan of Sokoto have raised questions about the legality of the decision of the Nigeria Law School to deny the law graduate from the call to bar; “Equally observes that the controversy has attracted international media coverage such as Aljareera and on the social media across the globe; “Also observes that even in the United Kingdom and United States of American as well as other African countries allow the use of headscarf (hijab) by female Muslims during graduation ceremony and presentation of certificates. In Kenya for example, the Chief Justice of Kenya participated in a group photograph of two female Muslims who used headscarf during the graduation of law graduates. 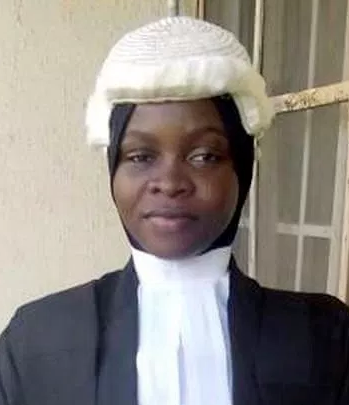 The picture and other similar pictures are all over the social media to create awareness on the matter; “Observes that despite the use of the headscarf by the student, she had the law wig on top of the headscarf which still showed compliance with the tradition of the Nigeria Law School and decency according to her religious belief; “Still observes that provision of the 1999 constitution of Nigeria as amended section 38 provides that every person shall be entitle to freedom of thought, conscience and religion, including freedom to change his religion of belief, and freedom (either alone or in community with others, and in public or in private) to manifest and propagate his religion or belief in worship, teaching, practice and observance. This section supersedes any provision by any government agency or institution to contravene this section 38 of the constitution; “Concerned that Article 8 of African Charter on Human and Peoples’ Rights (Ratification and Enforcement (Act (Cap A9) LFN, 2004, provides support to the section 38 of the Nigerian Constitution as amended reads freedom of conscience, the profession and free practice of religion shall be guaranteed. No one may subject to law and order, be subjected to measure restricting the exercise of these freedoms. Yet the Nigeria Law School which is responsible to train law graduates flouts these provision; “Worried that, given the aforementioned provisions of the 1999 Constitution of Nigeria as amended and the African Charter on Human and Peoples Rights, it can be deduced that the Fundamental Human Right of the graduate of Nigerian Law School has been violated.” The lawmaker appealed to the House to allow the Committee investigate the matter and also make appropriate recommendation “which may include the ultimate recognition of and compliance with the rule of law above any tradition or practice.” Getting the nod of the House, Speaker Yakubu Dogara who presided over Tuesday plenary endorsed the prayers. The Committee has two weeks to submit its report.